JaKell Sullivan – The Complete Restructure of American Education. Why It’s Happening. JaKell is a founding member of Utahns Against Common Core, as well as two groups promoting family friendly education policy: Gathering Families and Return To Parental Rights. She believes that one of the greatest threats to parental rights and religious liberty at this time is a federal monopoly over preschool to higher education assessments. This federal monopoly has arisen in the last 6 years under the Obama administration’s Race To The Top program. JaKell will give an overview of the changes that have occurred in testing since 2009 and explain how these changes were designed to dismantle our representative form of government. Most parents, and legislators, are aware of Common Core Standards—but few are aware of how the executive branch is using their new-found control over assessments (at all levels) to control student, teacher and school data—using that data to advance changes to: state data systems, curriculum systems, teacher training programs, teacher certification programs, college admissions requirements, higher ed accreditation, etc. Under a federal/international testing regime, children will be trained to agitate against religious liberty, not to defend it. The dangers to parental rights and threats to independent thought have never been more real. The time is truly now for parents and families to gather together. We can use our united strength to promote policies that will uphold the rights of parents to educate their children according to the dictates of their conscious. Donna has been homeschooling since 1983. She and her husband Roger are the parents of seven children and grandparents to thirteen grandchildren. She has spoken at dozens of conferences throughout America, and been doing in-home presentations and workshops for the last twenty years. She is certified in Classical Leadership Education, has been published in home school journals and study guides, and will address the transformation of your home into a place where your children can commence their journey toward scholarship. What is the key element that will help students to engage in their education in a powerful way? How is the current education environment failing to produce the type of education that is needed to solve the problems of the future? How is “school” itself getting in the way of quality education? The Myth of School is something that most have bought into at some level. When we stop assuming and truly seek to understand what is best in education, there are some startling realizations that everyone should consider. Stevan Barfuss is a mentor at Paradigm High School, a successful charter school dedicated to providing a world class liberal arts leadership education. Stevan has ten years of experience in education in several different settings. He has had a broad and varied education experience himself, receiving his degree in English at Cal State Fullerton, and spending several years at George Wythe College in Cedar City, Utah. He has a passion for writing, and is currently working on several writing projects. He resides in Copperton, Utah with his wife and partner, Dr. Gina Barfuss, and their six children. When he is not teaching, writing, or being a Dad, Stevan likes to be in the outdoors, or playing music on the banjo and guitar. Concerned parents constantly find themselves on the hunt for good curriculum to teach their children. Many struggle to give their children an educational roadmap, and in the process end up requiring their children to learn information simply because it’s included in the curriculum. Should faceless curriculum creators dictate what your child learns, and when? Or is there a better way? Join homeschooling dad, bestselling author, and public policy expert Connor Boyack as he explains the theory of passion-driven education, and some compelling examples of how it works. More importantly, you’ll learn simple, practical tips for helping your children discover their interests and acquire both general and specialized knowledge as they pursue those interests. Education should be fun! As parents who choose to be active in our children’s education, we should never hear the question “Why do I have to learn this?” from them. Come learn how passion-driven education solves that problem, and can enable your child to truly love learning. Brenda Carlos loves getting things done. She has always had many assignments on her plate. In the past, she has been the publisher and managing editor for a monthly magazine for the hospitality industry, co-authored 5 college level culinary and hospitality management textbooks, been a regular contributor to several national magazines and hosted a daily radio show on Omaha’s KFAB. Brenda has also worked for Gallup as an instructional designer and as a Certified Strengths Coach where she coached numerous executives from around the world as they moved their organizations into a strengths-based workplace. Recently she served and her husband spent three years in the Philippines on a volunteer assignment from their church. Upon her return from the Philippines, Brenda and a partner established Strengths Success a company that helps leaders, teams and individuals name, claim and aim their talents. She loves creating powerful workshops and coaching sessions that help participants figure out what they do best and how to create transformational changes in their workplaces and lives. 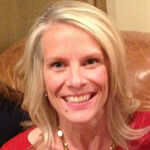 She has a strong interest in bringing her passion for strengths to families. Rebekah Mark is a young entrepreneur and author. She is currently enrolled as a senior at Corner Canyon High School and Quest Leadership Project. Rebekah will give her experience with different types of alternative education programs and schools. She will share what worked, and eventually helped her become successful. “Unschooling” does not mean ‘uneducating’. In fact, it means just the opposite. It indicates learning in an environment different than sitting at a desk for several hours a day, and exploring at a pace and in ways that are most effective for each child, their learning styles, and loves and dreams. It provides a beautiful avenue to explore and develop God-given gifts and talents and find joy therein. Recently married, after many years of raising and homeschooling her children alone, Heidi Hendricks found ways as a single-parent to help her children learn at their own pace as they, at a minimum, also maintained a daily devotional and chore schedule. Through various means and modalities, the Garvin children learned and grew in a safe and spiritually sound environment, developed in their unique abilities, and have become wonderful and contributing members of society. Two are in college and one is currently serving as a missionary. Heidi will share foundational principles and truths of parenting (particularly motherhood) from an LDS perspective and how the righteousness and prayers of faithful women (parents) can help to strengthen their children in these increasingly troubled times. In connection with Neil Flinders’ talk at the 2014 conference in which he addressed the subject of context in education as the great missing piece, our final two speakers of the day will address the subject from both a religious school perspective, as well as what can be done in a secular school context to establish a context for learning. This presentation introduces participants to questions that help individuals examine the world view of an institution or system. It will also illustrate the constraints world view can have on educational mission and methods. By way of case study, it then describes seven principles of liberty and a methodology that can be implemented in religious homes, churches, and schools to support moral and academic education. It also mentions some specific “jobs to be done” by parents in guiding their children’s moral and academic education and effective approaches and tools that parents have used for these purposes. While oriented toward those familiar with teachings published by The Church of Jesus Christ of Latter-day Saints, this presentation invites all interested conference attendees. 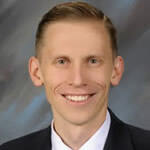 Leland Anderson is Assistant Principal of Distance Education at American Heritage School—an LDS-oriented, K–12, accredited, private school in American Fork, Utah—where he plays key roles related to distance education, curriculum development, accreditation, school consulting, and international programs. Prior to this, Mr. Anderson graduated from Harvard University with a master’s degree in School Leadership, worked in leadership and teaching positions in Massachusetts and Utah, and earned a bachelor’s degree with university honors in English Teaching from Brigham Young University. He holds K–12 school administration licenses in Utah and Massachussetts. He and his wife, Gina, have six children. David Fawson is the co-founder of Quest Leadership Project, a school to inspire and prepare students to become leaders, creators, and entrepreneurs by exploring their gifts, talents and strengths to share with the world. David has been an educator for the past ten years working in private, charter and public schools. He received a liberal arts education from Southern Virginia University with a degree in history, and attended George Wythe University where he studied his post graduate studies in economics and Jewish traditions and theology. David’s passion is to help people discover their personal life missions and has been a mentor to people all over the United States. He is the lead speaker for Odyssey of Hope, which is an organization to help people discover their purpose.